Before the Industrial Revolution, people lived on a generation we called “the organic economy”. The Industrial Revolution brings fossil fuel into everyone’s daily life. Today, the majority of the world’s power generation is depending on fossil fuel. Wood pellet is a famous substitute of fossil fuel worldwide due to its unique features of clean, low cost, renewable and so on. Especially for the European countries, they have the longest wood pellet utilization history compare to the rest of the world. They have not only used the wood pellet in power generation industry and central heating system, but also have developed a batch of household appliances which use wood pellet as the fuel, such as pellet stove, pellet grill, etc. The energy and environment problem have become the key focus global wide. Due to the requirements of the rapid economic development, the contradiction between energy and environment has been more and more serious. The over-exploitation of coal makes the coal source decreases rapidly, moreover, during the mining, it causes huge damage of the environment, such as the land subsidence, the damage of headwaters area, etc. Talk about the petroleum, the oil sources are concentrated, so most of the countries’ oil demand depends on import, which makes you controlled by others, and may cause the energy crisis. Wood pellet is a common fuel product which is made from sawdust and wood wastes. The wood materials has been compacted into uniformed pellets by the complete wood pellet line. 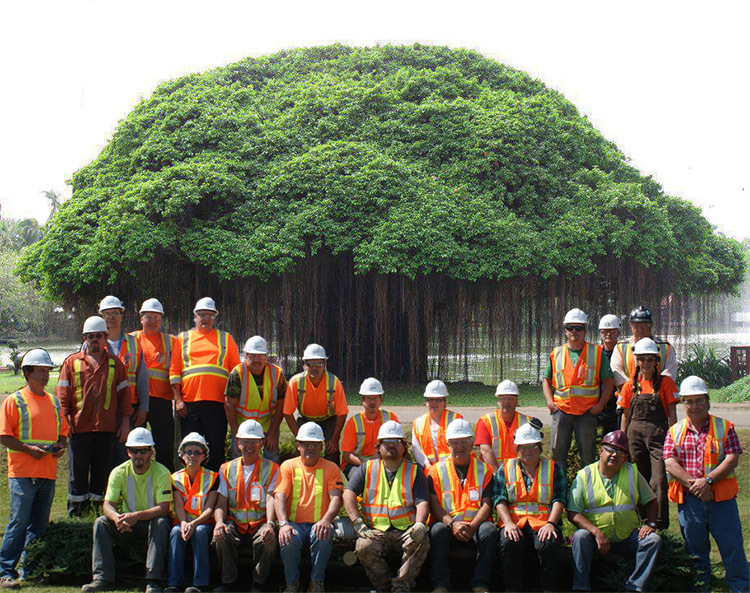 With years of development, wood pellet has been utilized into many different territories. And the end users can buy it in the supermarkets in Europe and America countries. If you are determined to start your pellet business, or when you try to open a wood pellet plant, to have a complete pellet plant business plan will definitely guide the way to construct and manage the pellet plant. 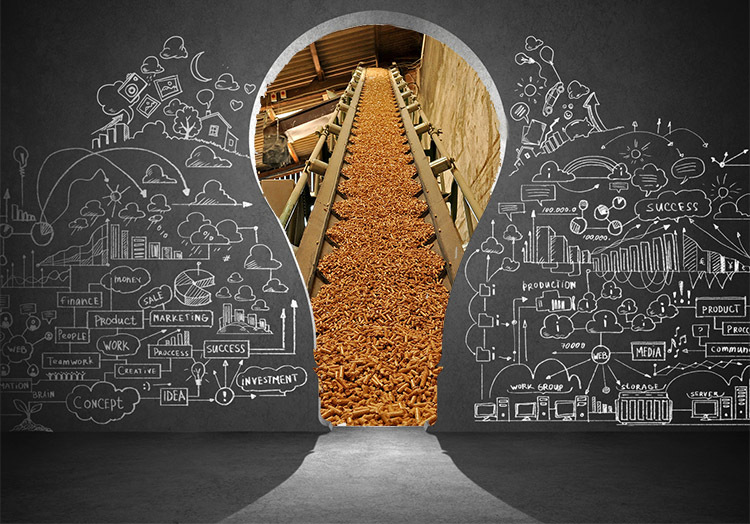 As the expansion of wood pellet market, there are many turnkey pellet plant service providers global wide. 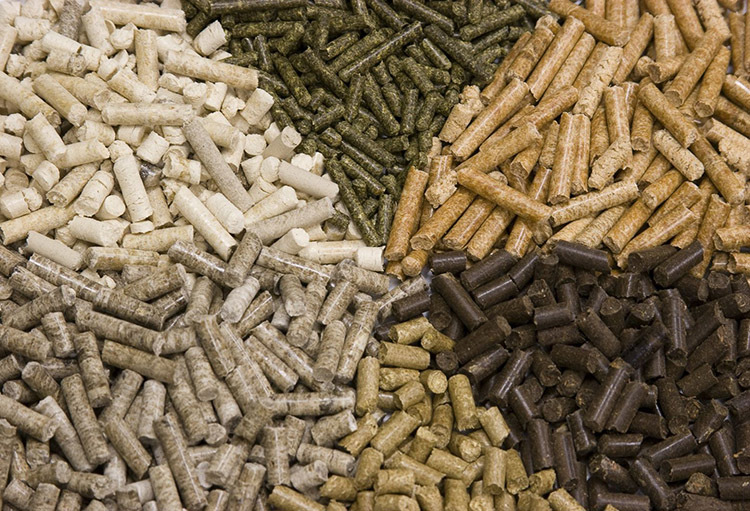 Most of the pellet plant providers promise to provide a complete pellet plant business plan for their clients. Actually, the turnkey pellet plant provider is a company which builds the pellet plant for you based on your requirements, such as the capacity, electric system. But, a pellet plant business plan is more than the purchase of the pellet plant machinery. It contains many different parts which should be known only by the pellet plant owners, especially the cost of building a complete pellet plant. Right now, wood pellet is the most popular substitute of the traditional fossil fuels. The global demand of wood pellet keeps increasing through the last decade, as you can find out through the researches, during the following decade, wood pellet demands will reach a new high. The strong market demand indicates that the rising of the wood pellet plant. 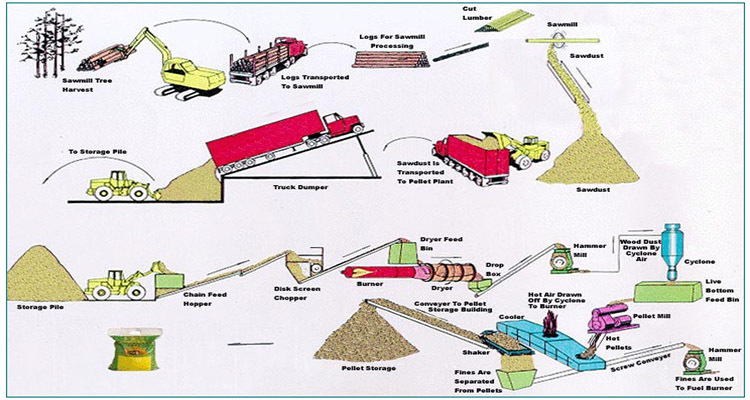 What is Pellet Plant Process Flow Chart? To answer the question of what is pellet plant process flow chart, we have to figure out the phrase of flow chart. Flow chart is normally a type of diagram which shows the complete work flow of the things you want to know. So as you can see, the pellet plant process flow chart is a useful diagram which helps people to have an overall perspective of the pellet plant process. 03 Jun What Does Pellet Plant Mean To Us? Pellet plant is the factory that produce pellet products. 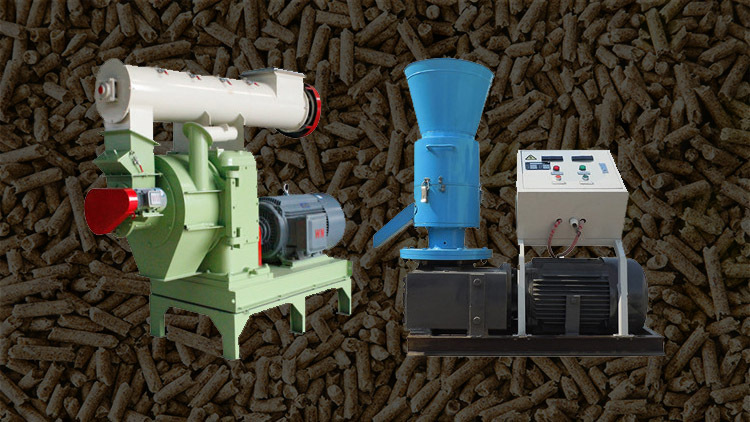 Pellet is the uniformed small particle which is compressed by the pellet machine. 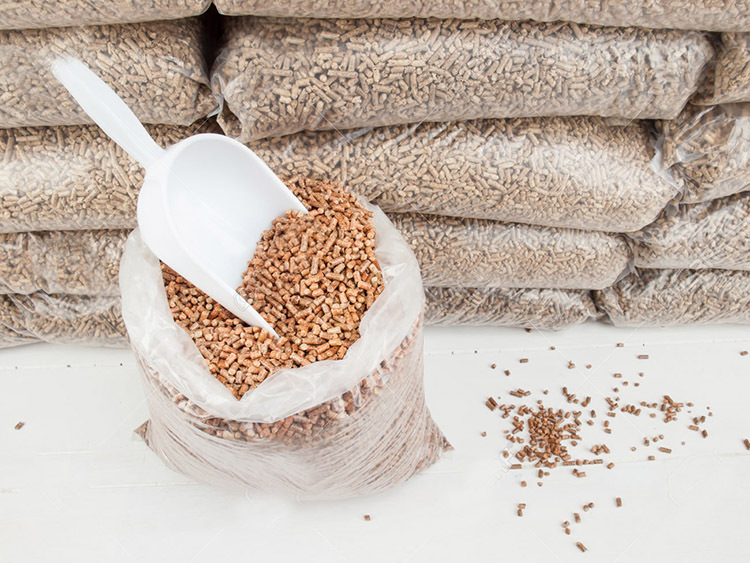 According to the different types of raw materials, the pellets can be classified as several types, such as the biomass pellet, software pellet, air gun pellet and iron ore pellet. The pellet plant we are talking about in the following part means the biomass pellet plant, which is the factory that produced pellet fuel for both industrial power plant and the residential heating systems. A complete biomass pellet plant normally consists of wood chipper, pellet dryer, magnetic separator, hammer mill, pellet mill, pellet cooler, pellet screener and automatic bagging machine. 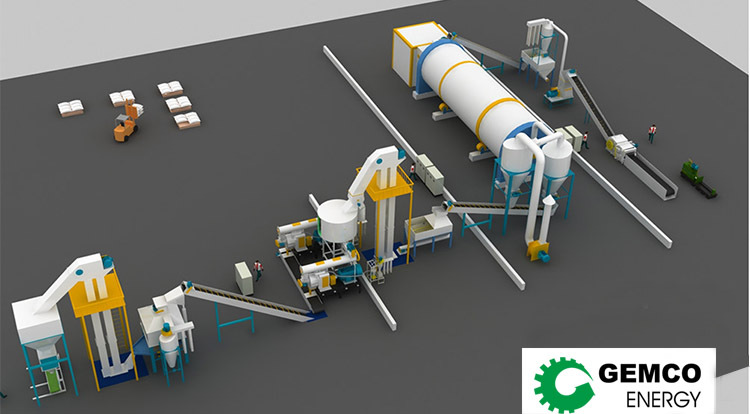 Biomass pelletizing Plant is a facility that using the pelletizing technology and equipment to pelletize the biomass material into solid biomass pellet. Biomass pellet is a new kind of commercial renewable fuel which has been well accepted by the EU market. Although Europe is the main consumer of biomass pellet, the biomass pelletizing plant is not mainly distributed in the European area. There are biomass pelletizing plants around the world, such as America, which is one of the large biomass pellet exporter in the world. 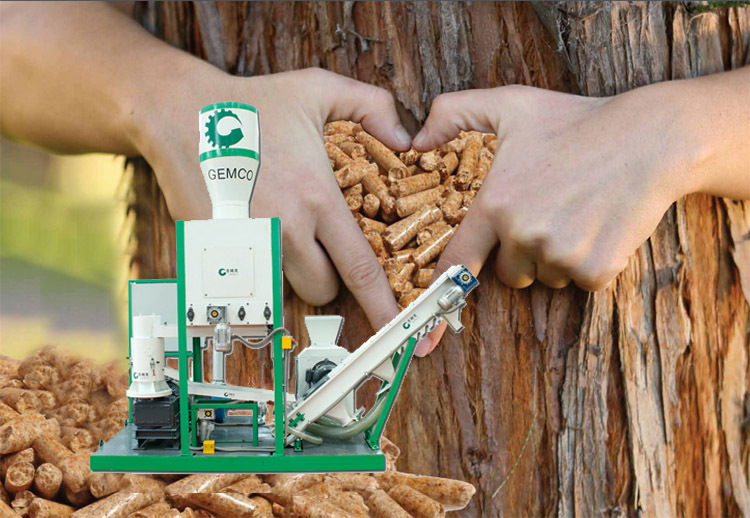 With two decades of export experience, Gemco is becoming a professional pellet plant solution provider for the global wood pellet manufacturers, both large scale and small scale. 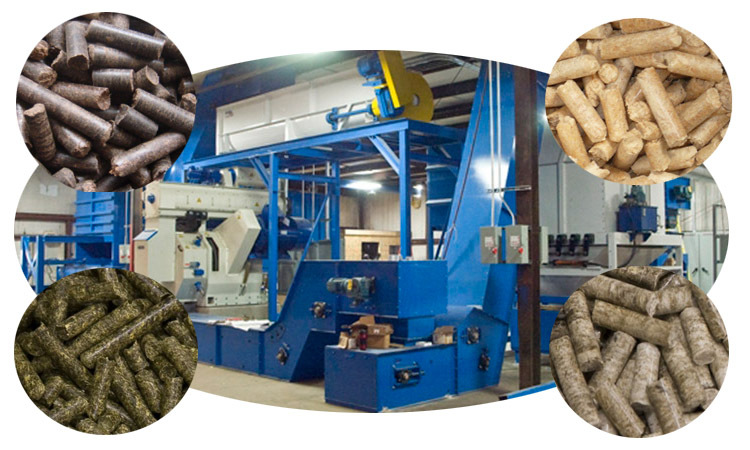 Both of the large scale wood pellet manufacturers and the small scale wood pellet manufacturers have their unique characteristics. The large scale wood pellet manufacturers are mainly supplying the industrial power plants or exporting the wood pellet to their foreign customers. Therefore, the main difference between the large pellet plants are the capacity, the equipment with special functions, etc. But, for the small scale wood pellet manufacturers, it is a whole different story.